TA-65 is an isolate of a proprietary extract of the dried root of Astragalus membranaceus, which is found to be connected with an "age-reversal" effect in the immune system, in that it leads to declines in the percentage of senescent cytotoxic T cells and natural killer cells after six to twelve months of use. There is, however, no relevant data available with regard to the characterisation of this isolate, and the type of constituents responsible for the purported effects. 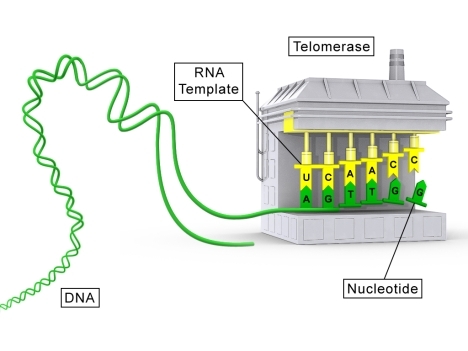 Telomerase activation might pose an increased risk of cancer because telomere shortening is a mechanism that limits cell proliferation. However, short telomeres result in chromosome instability, hence there is also a potential mechanism for telomere lengthening to protect against cancer. To date, studies of drug-induced activation of telomerase (as distinct from mutation-induced activation ) have shown no evidence of a cancer-promoting effect.